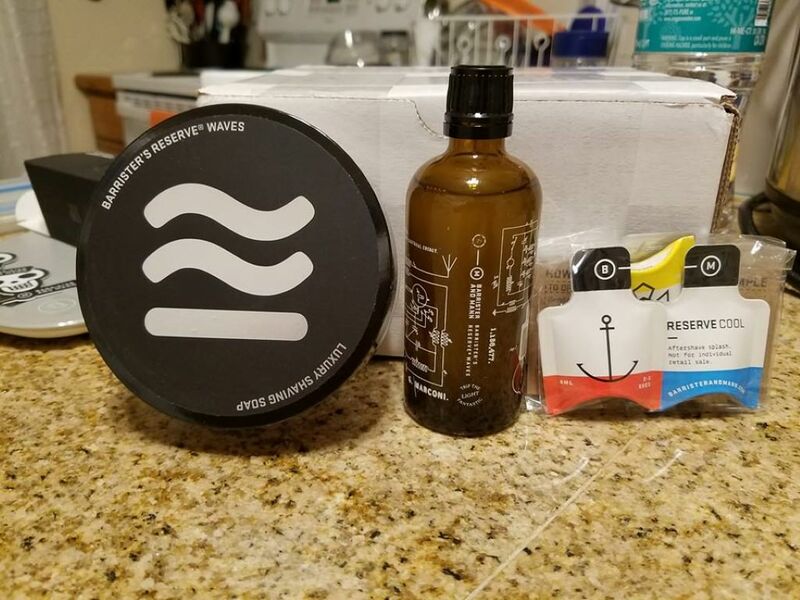 I have a brand new matching set of soap and aftershave that CaD314 sent over to me a few months ago. This scent is not my favorite so I'm passing it along - it's definitely a great fall/winter scent, perfect for Movember! 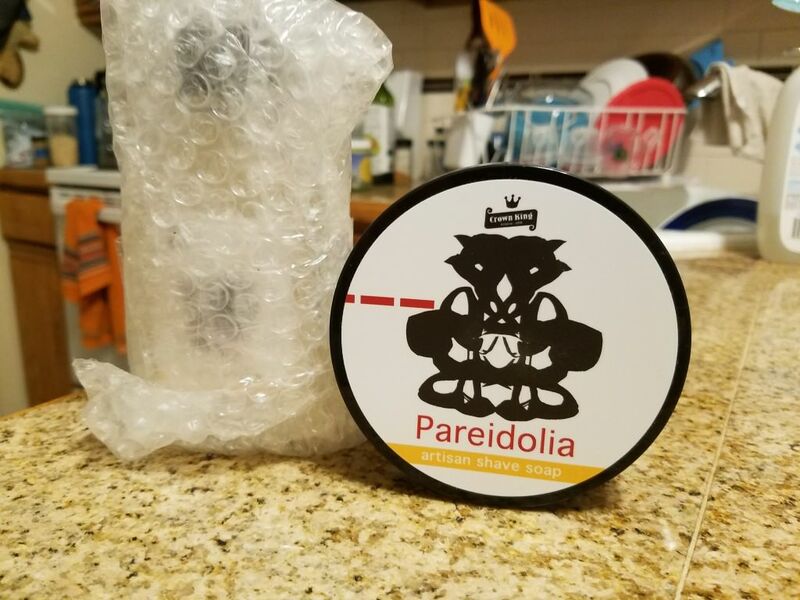 GroomingDept is making 100 soaps for us, that'll be ready for order on November 1st and shipping out on November 7th or 8th! Everything will be ordered directly on Mohammad's site. added Barrister_N_Mann & ariana-evans to the list! all, I have 5-6 soaps coming in from Maggards that will not arrive before I go on vacation tomorrow morning. This will be my 'donation' of items to Movember rather than sending out a DFS t-shirt or mug as that is time consuming for me. 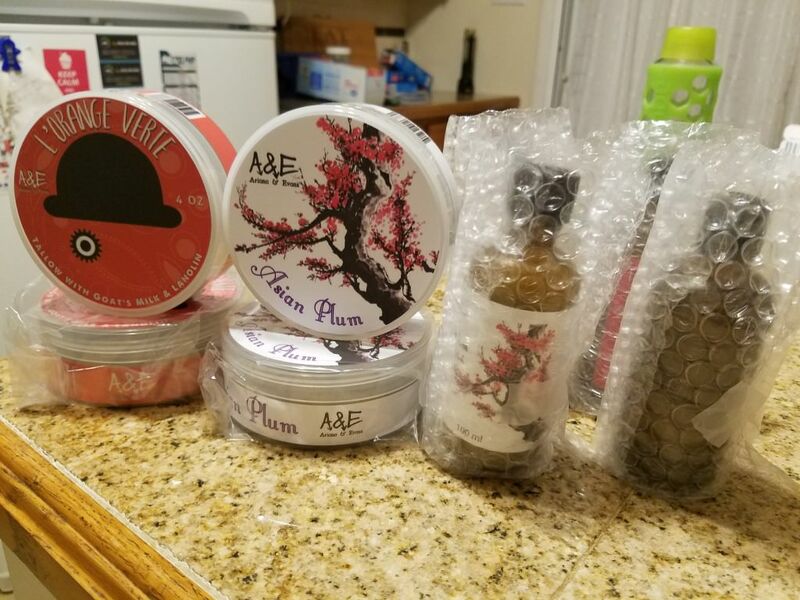 since I know what soaps I bought, I'll add the stock photo of the soaps in with the photos of items in each lot until I'm back home and can take live photos. 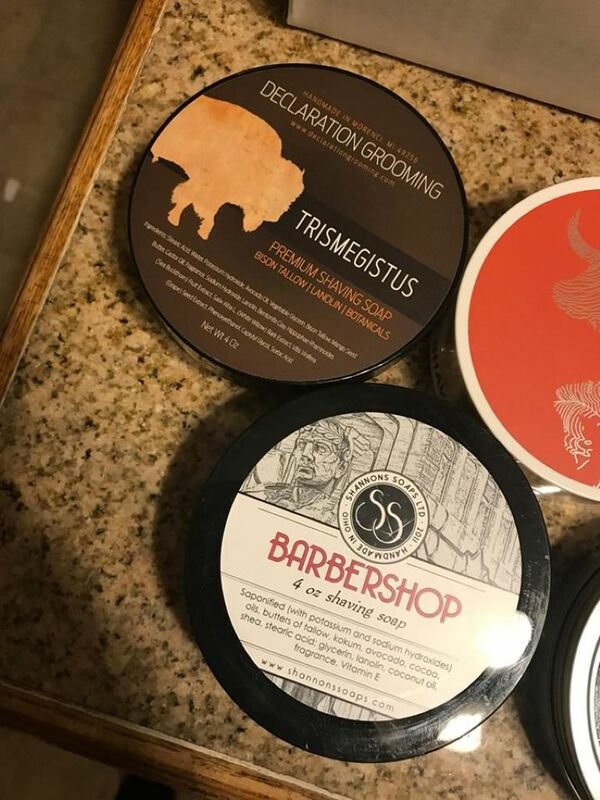 also keep in mind that I believe we'll have a few more soaps and aftershaves that are arriving from various merchants while I'm on vacation. 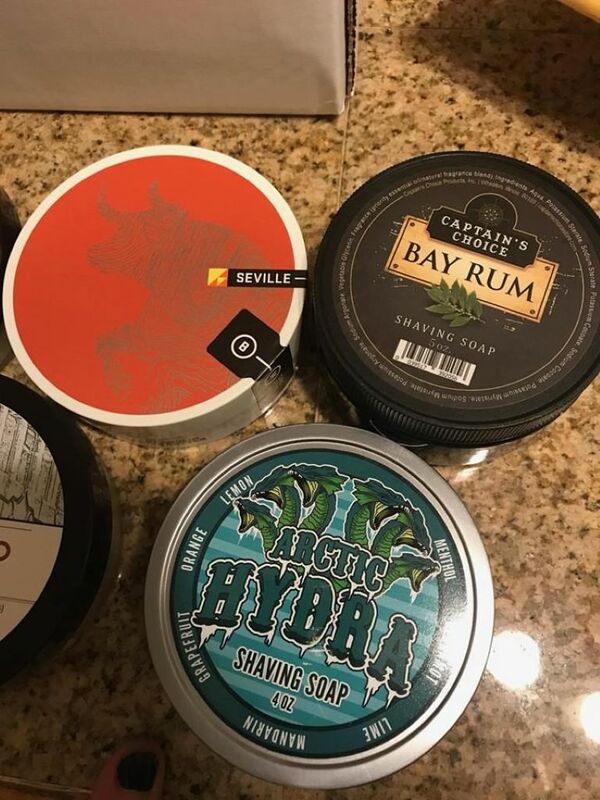 These will likely not make it into the lots until lot #3 or lot #4.
got these soaps and matching aftershaves in from ariana-evans this afternoon. just in time before going away on vacation tomorrow morning! the l'orange verte smells awesome! the Asian plum smells good too, but may be a little sweet for some. heard from Razor Emporium that he's going to send over a rex ambassador and offer up 1 free tune up service for Movember! I got this is from Barrister_N_Mann tonight. 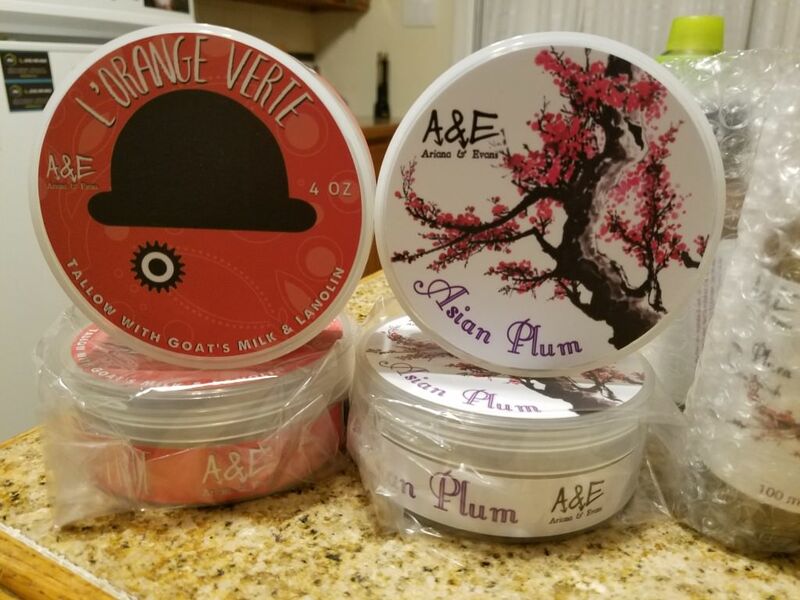 I like the smell of the soap - I'll likely pick up the set sooner than later. (11-17-2018, 09:03 AM)andrewjs18 Wrote: I got this is from Barrister_N_Mann tonight. I like the smell of the soap - I'll likely pick up the set sooner than later.